Carl F Bucherer watches have been there since quite a while. Already in 1919 Carl F. Bucherer introduced a line of ladies’ watches in the Art Deco style. From that moment on, Carl F. Bucherer is producing and selling watches that include chronometer certified watches, chronographs, diving watches with super compressors cases, perpetual calendars and so on. However, it wasn’t until 2001 that the watches were produced with ‘Carl F. Bucherer’ on the dial. Before that, it just said ‘Bucherer’. In 2001, Bucherer repositioned their watch brand as ‘Carl F. Bucherer’ and became famous for their Patravi collection. In the meanwhile, Carl F. Bucherer also introduced their Manero collection. In 2006 they introduced a masterpiece called the Manero Perpetual Calendar. Carl F. Bucherer has a workshop for research, development and production of manufacture movements and complications since 2007 in Ste-Croix. 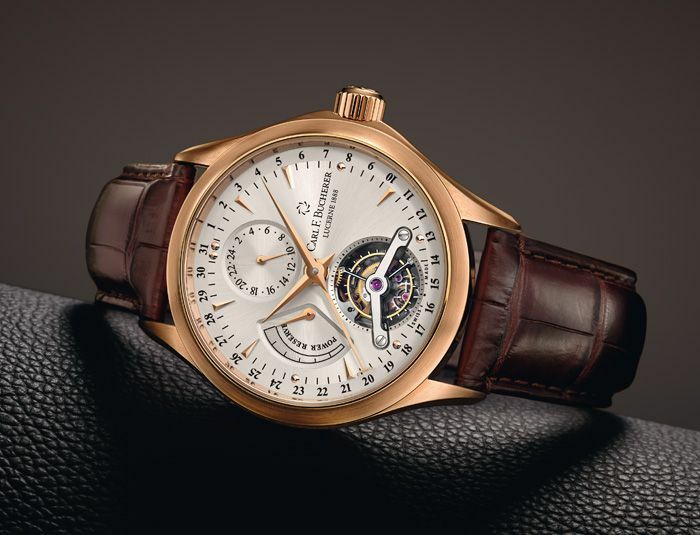 Now, in 2013, Carl F. Bucherer introduces another masterpiece of the Manero collection: The Manero Tourbillon Limited Edition. Restricted to 188 pieces only, Carl F. Bucherer clearly refers to their founding year of 1888. The Manero Reference 00.10918.03.13.01 features the hand-wound CFB T1001 movement. 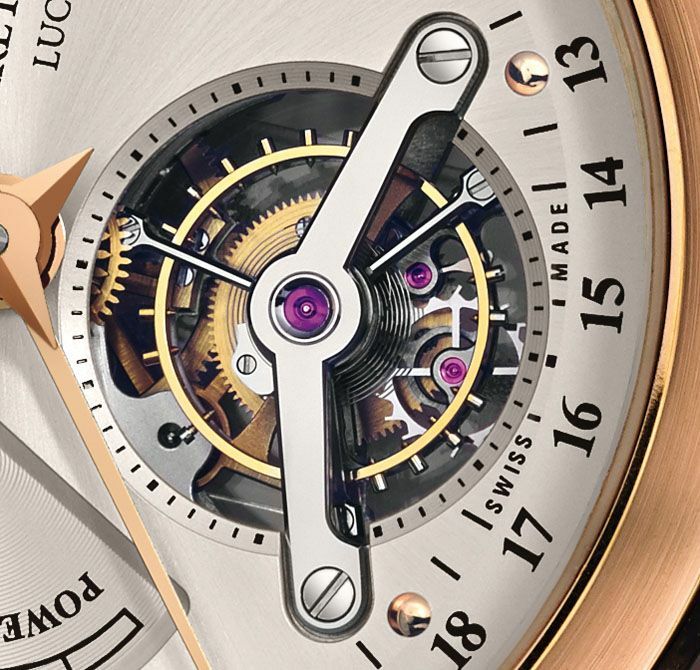 A Tourbillon movement that measures 33mm in diameter and a height of just 6.2mm. Besides time indication and a tourbillon, the dial also indicates the power reserve (70 hours maximum), 24 hour scale and a date. As you can see, the design of the dial – even though filled with functionality – is kept as clean as possible and therefor easy to read. The elegant shaped case of the Manero family has been made out of 18 carat rose gold and features a domed sapphire crystal. Also the caseback has a sapphire crystal, to be able to glance at the caliber T1001 movement. With a diameter of 41.8 mm, the rose gold case should be suitable for almost all men (or women). We don’t particularly like really oversized watches, so it is good to learn that there are still companies who keep it ‘sane’. Especially classic designed dress watches like the Manero should have a case size that is easy and comfortable to wear under your shirt’s cuffs. The Manero Tourbillon comes on a brown alligator strap with a rose gold folding buckle. List price of the Manero Tourbillon Limited Edition is 84500 Euro. If you like the 1960s style case design of the Manero, make sure to have a look at the other Manero collections as well. They already start at 2500 Swiss Francs for the Manero AutoDate model. 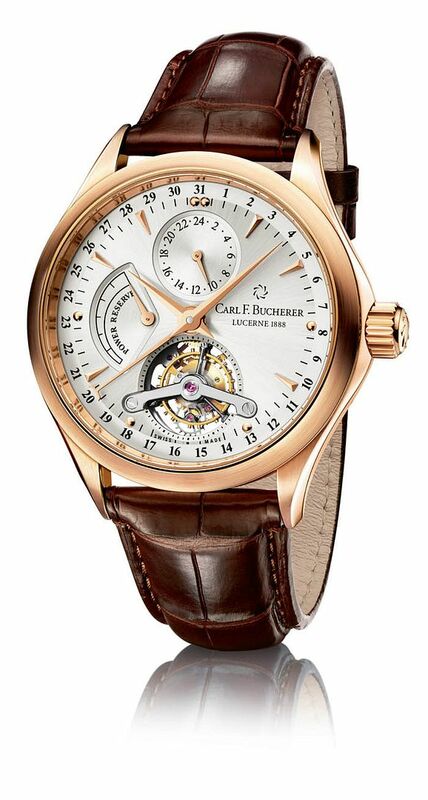 More information about this Luzern based watch manufacturer can be found at www.carl-f-bucherer.com.